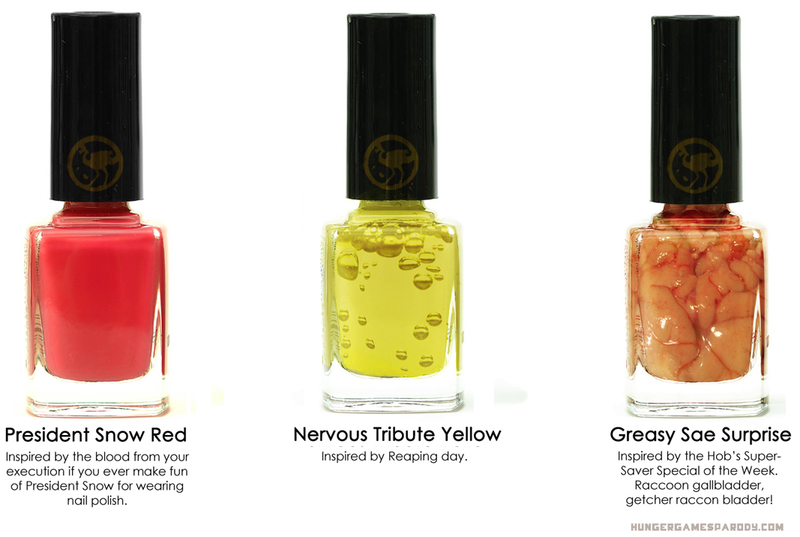 When we heard that Lionsgate was releasing a Hunger Games nail polish line, we were…confused? Of course, we knew that the books becoming a movie franchise would lead to a merchandise onslaught like no other. But were we the only ones who had hoped it would go a bit more in the “sick-bows-and-arrows-and-squirrel-meat-Lunchables” direction? 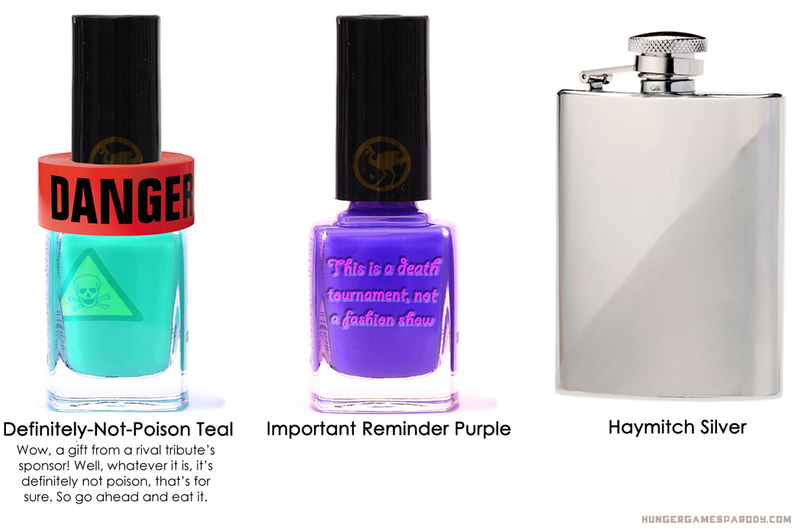 Except for President Snow’s nail polish. That’s super pretty. 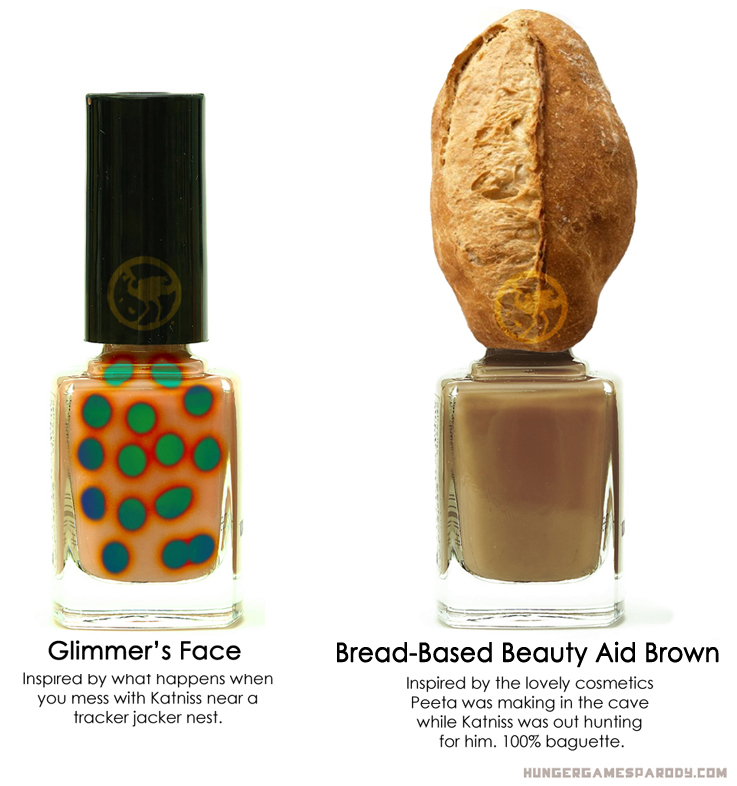 The Hunger But Mainly Death Games nail polish will be available March 1, from that drifter guy who lives below the bridge in your town. The dude above me is stupid. where will you be able to buy it ?!?!?! 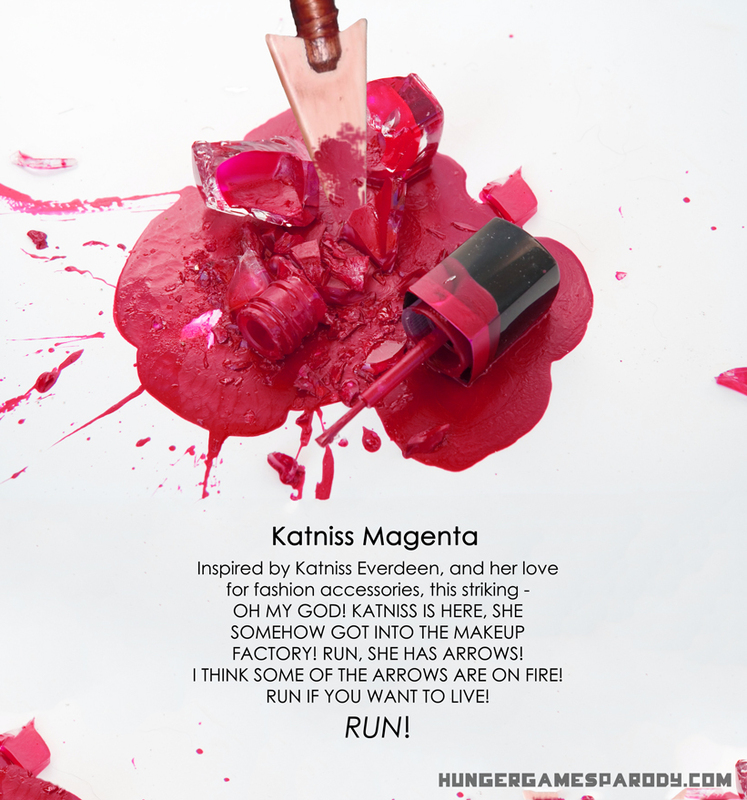 Omg, Katniss Magenta and President Snow Red are so pretty. You guys, I’m pretty sure that this is a parody also, still awesome though. These are so awesome for some reason… don’t ask why I think so… I honestly have no idea! LOL If I had to wear one other than my favorites (President Snow Red and Katniss Magenta) it would be either Definitly-Not-Poison Teal, Important Reminder Purple (might need this, tend to forget EVERYTHING), or Bread-Based Beauty Aid Brown! GO HUNGER GAMES! And of course… GO HUNGER (but mainly death) GAMES!!! WHOOOOO! Pingback: ‘Hunger Games’ Gets Its Own Parody Site | wihu ! I want greasy sae suprise. 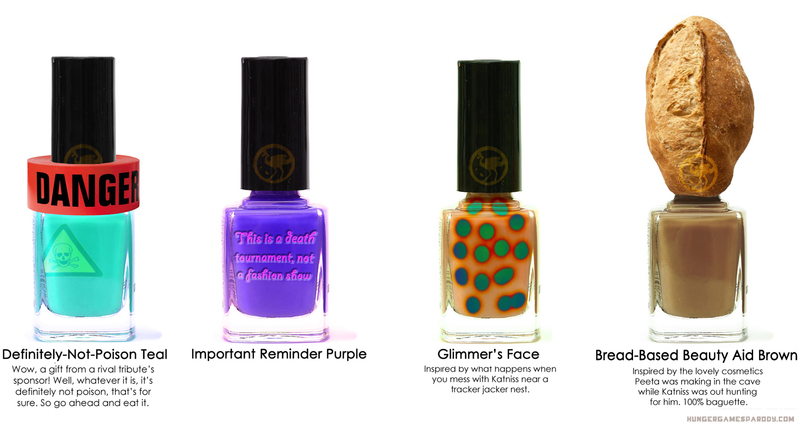 May the odds be ever in your favor that you won’t smudge your nails after they are freshly painted.